View Equipment List – Rusco Manufacturing, Inc.
As if having over 100 pieces of equipment wasn’t enough, just wait until you hear about what we can do with that equipment. We know how to use it. 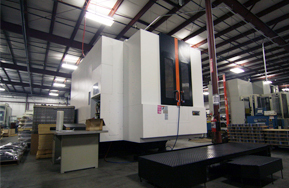 Housed in our 74,000+ square foot facility are over 100 pieces of CNC equipment, each with their own unique specifications and manufacturing capabilities. Below is our current list of equipment. But what you as a customer really need to understand is that this equipment is worthless without the latest technology and highly skilled operators we have that are ready to manufacture your masterpiece creation. Our precision is second to none and our dedication to quality is unsurpassed in our industry. That’s why we’re a leader. Check out our equipment list. (2) Mazak QT30. 12” chuck can turn 16.5 dia, 40” long. (5) Mazak SL450 (1) with a 22” chuck and can turn 28” dia 60” long-(1) with 20” chuck Gantry (2) with 36” diameter capacity or lengths of 120” loader.